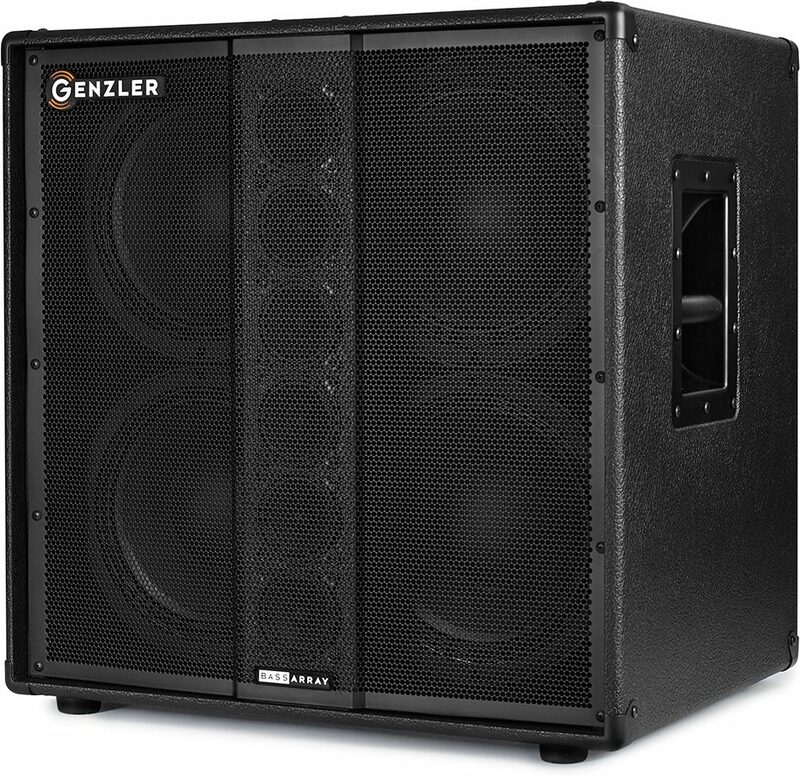 The Genzler BA410 v3 is an extremely compact and lightweight (55 lbs) 1000-watt, 4 ohm cabinet, and is ideal for those players that need the highest powered, most dynamic performance in a single, compact cabinet design. Although smaller than most 4 x 10" and tweeter cabinets, this innovative design blends the punch and quickness of four premium Neodymium 10" drivers in a vented bass reflex enclosure, and the performance and pattern control of a 6 x 3" Neodymium paper cone driver line array element. 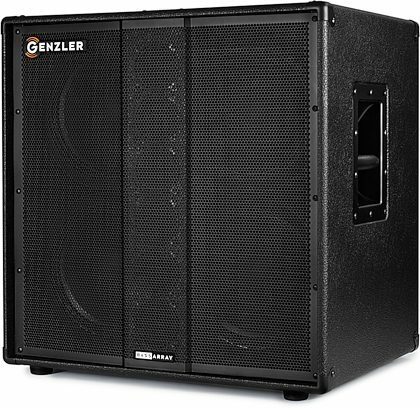 The placement of the line array in front, and between the 10" woofers further provides an extremely broad projection pattern, immediate quickness and clarity that is not possible with standard 4x10" designs. Also due to line array principals the all-important mid and high frequencies have a much wider horizontal dispersion with a more controlled vertical pattern. This offers the most even projection possible around the perimeter of the stage and audience. - Delivering full, deep, low frequency response from the high efficiency 4 x 10" woofers doing what they do best, providing excellent support of the fundamental for the lower strings of the instrument. - Using a selective crossover point this design, overcomes the "beaming" (pattern narrowing) effects of a full range signal being reproduced by larger low frequency drivers which is common in many current small cabinet designs. Lowering midrange and high frequency distortion by allowing the use of small, 3" high performance cone transducers that would otherwise be unsuitable without the increased acoustic sensitivity obtained by the array design. - Dimensions (H x W x D): 23.75" x 23" x 18"
- Four: Premium Faital neodymium 10" cast frame loudspeakers utilizing a unique dual-wound voice coil design for increased power handling and efficiency. - Six: Premium Faital neodymium 3" mid/high cone drivers loaded into a sealed line array stack. Custom, curved grille with a unique center #pleat# to protect the array column.